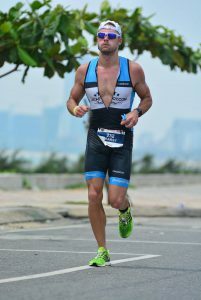 Earlier this month Matthew Pears was back in action in another 70.3. Here is what Matt had to say. 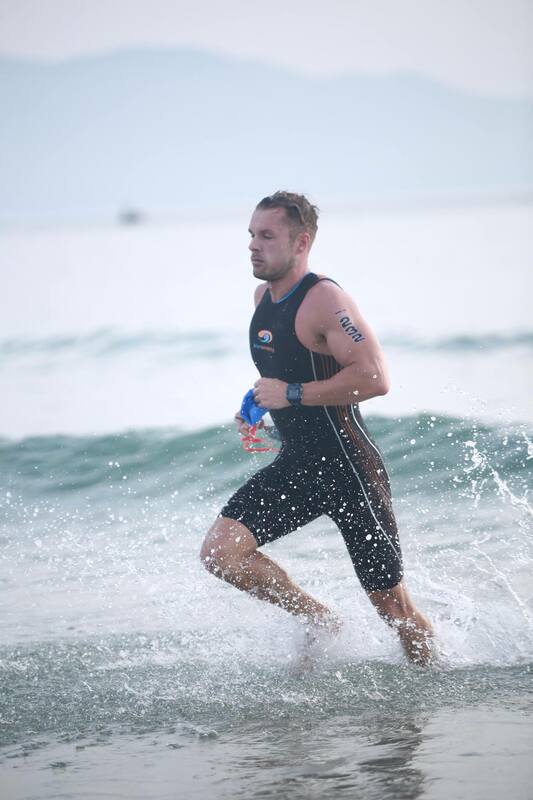 “Crossing the finish line at Vietnam 70.3 was probably the best feeling I’ve ever felt crossing a finish line as on this day, I truly thought that it would never come. The day started well. Relatively calm sea for my first non wet suit swim. Started in the fastest pack and after some poor hasslehoff esq water entry running and some hustle and bustle I eventually found some clear water. Felt quite strong and despite not clocking a fast time I was out first in my AG in 27 min , quick run on the beach, through T1 with no issues and out onto the bike course. Found the going quite tough to begin. The legs felt like they were gonna explode but some 30k in they began to come back. The bike was relatively flat with only one real ascent and that was only 1k in distance. The bike leg was out to the furthest point then two loops of a 22k circuit then back to the start. These went well and I felt good. Taking on fluid and throwing it all over me as it was fast approaching the mid 30s. I turned and made my way to T2. On this stretch there was no one around me and the legs were starting to indicate I’d gone alittle hard. Made it to T2 after 2.19 on the bike. Race Timing splits indicating 2.22 but that included transition. Out onto the run and still in first place for my AG. (Obvs only knew this after the race ). 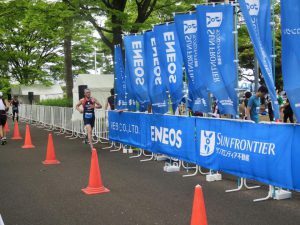 and throw the towel in I decided to be content just walking and shuffling my way around the course. The aid stations and volunteers were outstanding. Never chewed on so much ice. Made it across the line after 2hrs 15 mins on the run. Later to find out that around a 1.50 may have taken the AG win. Ice cold beers the perfect recovery drink. Lessons learned and experience in the bank. A summer of run training and I’ll be back”. 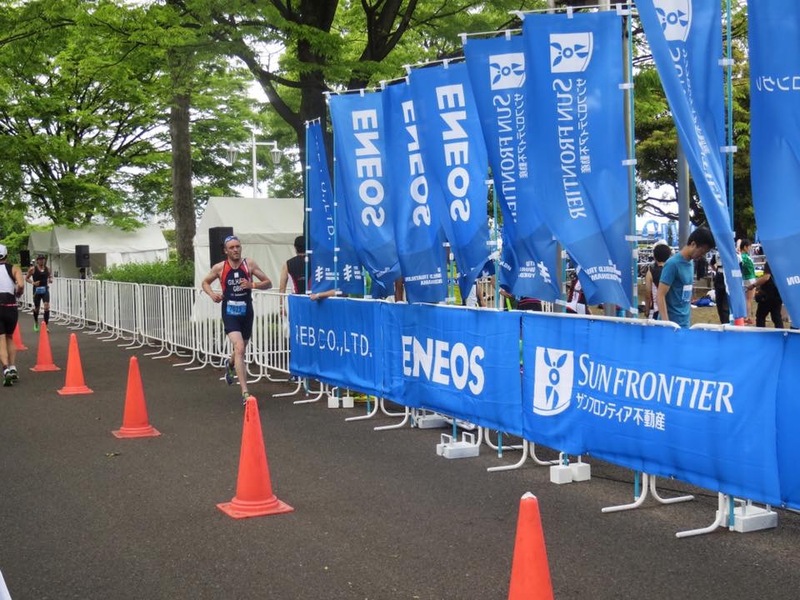 Still in the East, Jackpot’s Ian Gilham was competing in Yokohama here is what Ian had to say. “Tough race on Sunday – no rain (unlike Saturday for Tom and Jonnie) but strong winds and heavy currents with more than 150 swimmers pulled out by the lifeguards in various stages of drowning. Happy to be 4th (of 150) out of the water (3 minutes faster than last year despite the conditions.. and even happier to have avoided the jelly fish the size of hub-caps), lost a few places on the bike, regained a couple on the run to finish 6th. Beer o’clock now and a few recovery days in Japan before back on it for kitzbuhel in a few weeks”.